For those of you that have seen my other posts lately you will already know that I have been trying to achieve a near perfect distro of Linux which will run well on the Rikomagic MK802. I have tested lots of different variations of Linux by using disk images created by Miniand and then applying various hacks provided by the developer community to make everything work as it should do. I have created a disk image which I feel works extremely well. 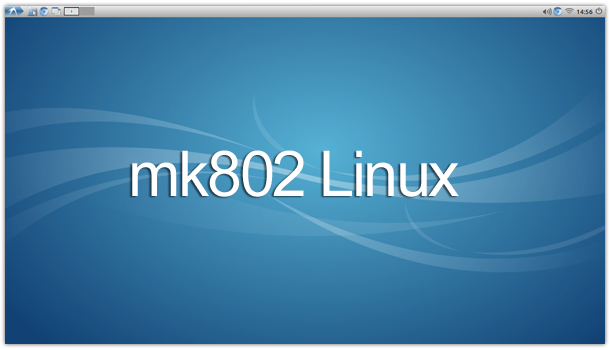 In a way it also "summarises" where we are with Linux on the MK802 right now. It provides a completely useable desktop environment that can even be used by even the newest of Linux users. This image is based on Lubuntu 12.04 with LXDE desktop, modified uboot by Suzuke and the latest Kernel available which has been compiled by Toby Corkindale. It should work out of the box on any MK802 but it will most likely run faster on a device with 1GB ram. Use Image Writer to write the image to your SD card. Make sure you select the correct drive as this process will erase the entire SD card - You have been warned! Your SD card will now most likely show up in Mac OS as a removable disk so you will need to unmount it. Open the application terminal and type: diskutil list to find which device your SD card is. Make a note of the disk number, be careful you note the number corresponding to your SD card and not your system drive! In terminal, copy the image to your SD card making sure to write the image to the SD device Make sure you select the correct drive as you could erase your system drive - You have been warned! When the image has copied to your SD card (about 70mins) there will be a message displayed in terminal telling you if the process was a success. There you go... Let me know what you think! We can't wait for the new Mali drivers to come out. can i install xbmc for linux or xbmcbuntu? Kotana wrote: can i install xbmc for linux or xbmcbuntu? I really dont think it will be very long before we see XBMC on the MK802, fingers crossed! Thanks! For some reason I hit a dead end on the piecemealing, and hopefully this is the ticket! Downloading now! ImageWriter said 8G too small. Formatted disk and still just shy so went up to 32G with no problems. Thanks! The device finds my WiFi when I'm running Android. When I start MK802 Linux it tells me there is a wireless network available but when I go to Applications>Preferences>Network>Wireless, I can't see my WiFi network at all. Suspended by Dropbox for genreating excessive traffic. 3 days! Last edited by chesterx on Thu Jul 05, 2012 4:07 pm, edited 4 times in total. ?? Am I just getting the luck of the draw?